Kit Harington is the British theater and movie actor known for the crucial role of Jon Snow in the popular fantasy TV series Game of Thrones. Kit Harington was born on December 26, 1986, in London. It is not surprising the boy got interested in acting since the early age: his mother was a playwright. Harington can be proud of his family: his father is a successful businessman, and his uncle is a Baronet. In1992, Christopher went to the Southfield Primary School. Six years later, his family left London for Worcester where the boy finished the secondary school. When he was a student, he often participated in school performances; he liked the play “Waiting for Godot” most. Although Kit enjoyed acting on the stage, he did not consider the acting career. The young man had many doubts: he wanted to be a journalist, a camera-man, a war correspondent. However, in his senior year at school, he realized he would become an actor. Harington continued his education in one of the most prestigious universities of London, the Royal Central School of Speech & Drama. His hard work was paid off. 22-year old Kit Harington graduated from the university and joined the Royal National Theater. He debuted in 2008 in the play “War Horse” and took one of the central roles. The beginning actor was brilliant. The audience appreciated his handsome appearance and talent, and theater critics favored him. Simultaneously, Harington participated in the New London Theater performances. In 2010, Kit got the role of Ed Montgomery in the play “Posh.” Harington dreams of playing Henry VIII of England and believes his wish will come true. The actor considers the theater to be his real work while movies are just a hobby. 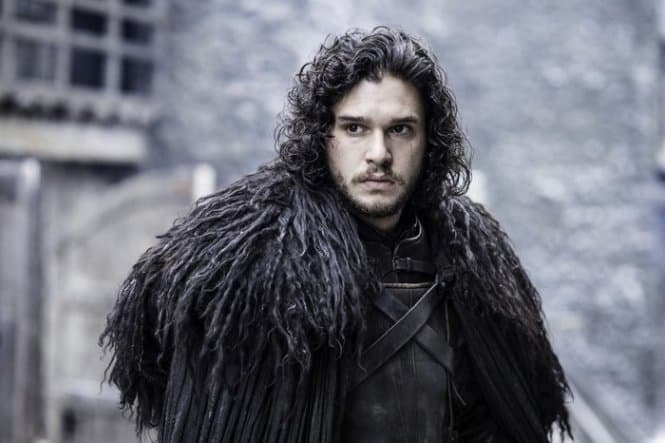 Kit Harington is often called Jon Snow, the character he played in Game of Thrones. The actor went to the auditions and surpassed other candidates easily. In 2011, the first season of the famous series came out; Harington found himself famous quickly. He had to wear a wig: his own hair was too short. Kit could relate to Jon’s gothic figure and love of black. However, fans are sure the actor is a more positive and cheerful person that his character and remember his funny photos and videos made during breaks. For instance, Harington’s colleague Emilia Clarke posted a video on her Instagram page: dressed like Jon Snow, Kit was waving his coat and pretending he was a dragon. 11 million people watched the video on the first day. The actor mentioned he would make friends with Jon Snow in real life. 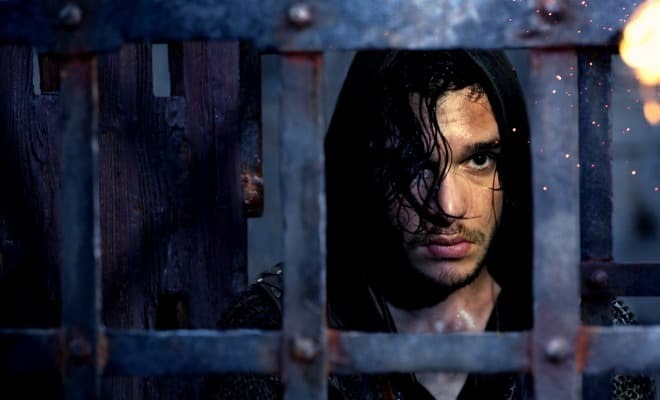 Kit took it to heart when Snow was meant to be murdered by his brother in arms in the fifth season. However, it did not prevent the actor from working on the series. 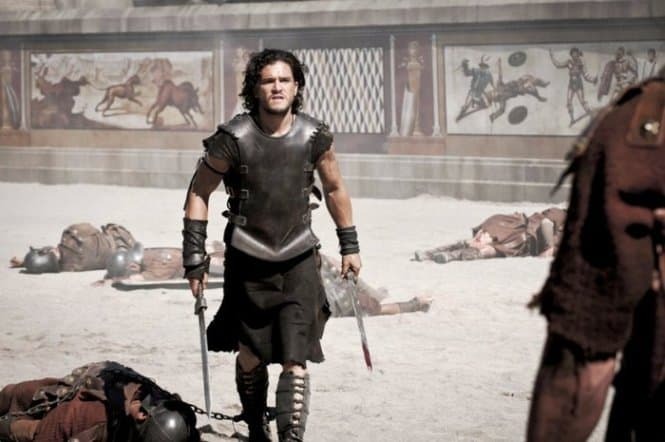 Little by little, Jon Snow turned into one of the main characters of the fantasy saga. The audience waited for the new details of the character’s biography and watched his development. 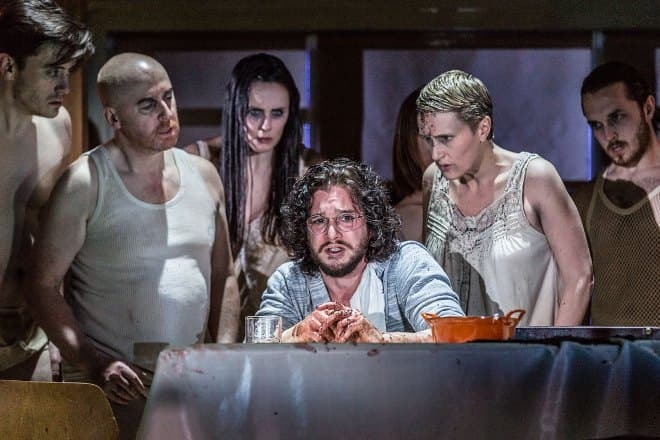 Game of Thrones has become the largest project in Kit Harington’s professional career, but it is not the only remarkable work of his. The actor got the roles in the movies Seventh Son and Pompeii. According to journalists, the actor liked fast food and used to be plump in his youth. Thus, the new body was the result of hard and systematic work. Today, Harington can boast the rippling muscles; his weight is 72 kg, and his height is 173 cm. Still, even these new projects did not help: the roles were almost the same. In 2014, Kit was called a typecast actor. The situation changed after the comedy 7 Days in Hell set in the modern world appeared. In 2015, the action movie Spooks: The Greater Good was released; Harington’s work was severely criticized. In 2016, the actor participated in the thriller Brimstone notable for its unusual composition: the story is subdivided in the four novellas three of which were set in the non-chronological order. Although the actor’s roles are similar, he is not upset. He dreams of starring in Ridley Scott’s and Martin Scorsese’s projects. Kit Harington does not say much about his personal life. After Game of Thrones, fans attributed the love affair with Emilia Clarke to him because the actors often went out together and starred in the Dolce & Gabbana perfume ad. 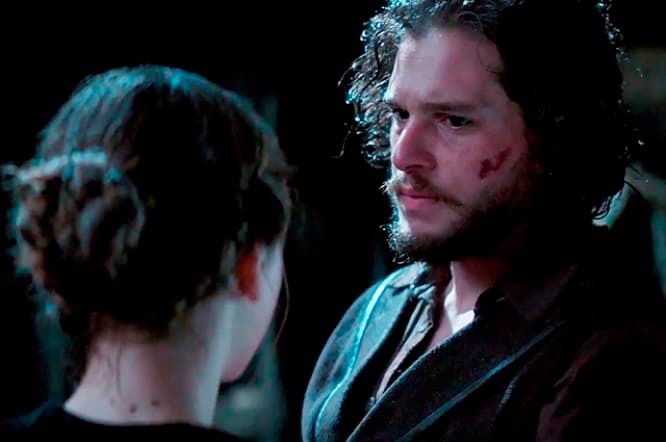 However, Kit emphasized that he and Emilia were just good friends. 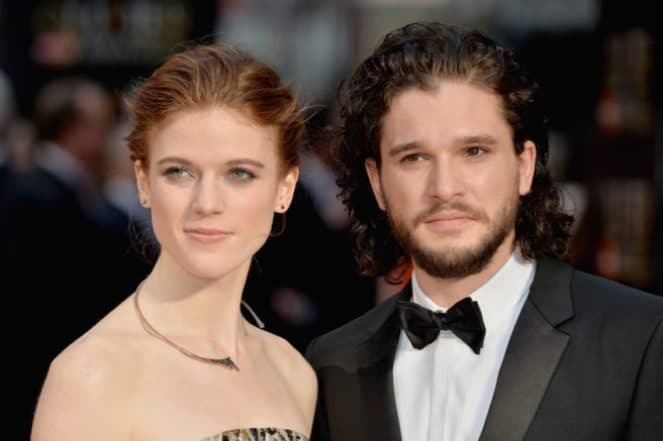 In a while, Rose Leslie who played Ygritte in Game of Thrones started accompanying Harington. In spring 2016, they officially announced they were dating. Other love affairs reported in the press remained journalists’ speculations. The sensitive scenes where Kit and Rose participated grew into the real-life relationship. The actors turned out to have much in common: people of the same age, they were born and grew up in England and devoted their lives to the same career. Kit confessed he was pleased to participate in intimate scenes with Rose and never asked for a double actor. More than that, he was waiting for a new working day to touch the woman he liked. On July 21, 2017, the couple announced the engagement. At the same time, several media believed this news was mere speculation and claimed the actors were dating but did not plan to marry. Nevertheless, Kit and Rose took another important step: they bought a $2 million house in England. In October, Kit and Rose drew public attention again. Harington was invited to The Jonathan Ross Show and told the story of his trick on his girlfriend: the actor put a prop head which had the face similar to Kit’s to the fridge. The show organizers played the hidden camera recording: as the woman saw the frightening object, she kneeled down, screamed, and cried. Fans’ opinions about Harington’s joke were ambiguous. Many people believed it was cruel and reckless to do that to a lover. In 2017, the actor continued to star in Game of Thrones. As the story ran, the global war against White Walkers escalated; Jon Snow was one of the most significant figures there. After the season was aired, the news about the next season production appeared. While the seventh season was based on the then unfinished book The Winds of Winter by George R. R. Martin, it was decided that the eighth season would contain only some details from A Dream of Spring. Martin has only planned the storyline and emphasized he has not begun to write on it. 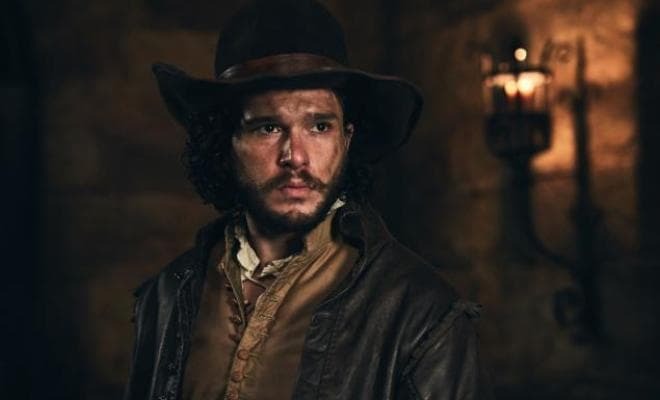 In 2017, Harington starred in the mini-series Gunpowder telling the story of the Gunpowder Plot failure in 1605. It is the landmark event for the British; every year, they celebrate Guy Fawkes Night. In December 2017, GQ put the actor on the top of its worst-dressed men anti-rating. 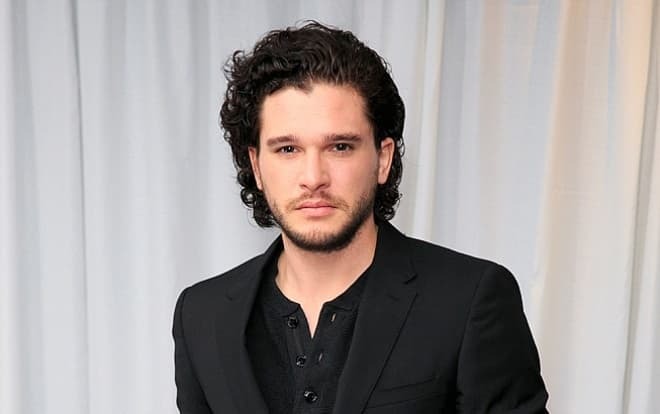 On January 6, 2018, another negative news came out: Kit Harington caused a drunken tow in a bar. A witness recorded the actor disturbing strangers who played billiard and provoking a fight; the video was posted on Twitter. Eventually, the security got drunken Kit outside and did not let him enter the bar again.